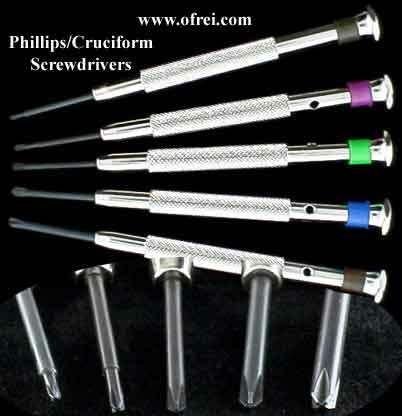 Assortment of 5 special screwdrivers with fixed cruciform Phillips type blade. Comes with 1.20, 1.50, 2.00, 2.50, 3.00 mm Screwdrivers. Comes with 1.50, 2.00, 2.50, and 3.00 mm screwdrivers. 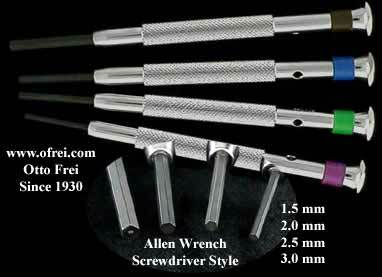 Assortment of 4 special screwdrivers with fixed male Allen type key for hexagonal hollow nuts. 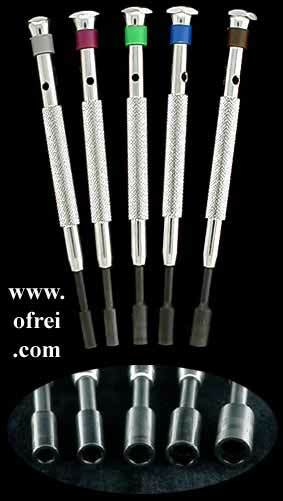 Four sizes 1.5 mm, 2.0 mm, 2.5 mm, 3.0 mm. 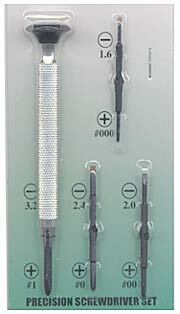 Assortment of 5 special screwdrivers with fixed female key for hexagonal nuts. 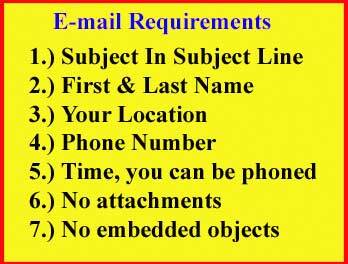 Sizes: 3 mm, 3.5 mm, 4.0 mm, 4.5 mm, 5.0 mm.